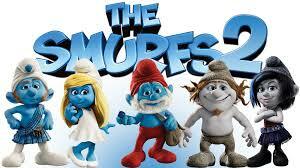 Brief Synopsis – The Smurfs are back, this time to save Smurfette from the clutches of Gargamel. My Take on it – This past Friday, the wife and I decided to take the three older kids and 3 of our nephews to see this movie. We had taken them two years ago to see the first one and just as the kids were looking forward to seeing this sequel, so were we. We all thoroughly enjoyed this movie, even more than the original. One of the things that I have already appreciated about animated movies or many movies made for kids is that they are dual layered; they have the aspects that kids enjoy and can laugh at and they have aspects that appeal more to adults and have some kind of message that adults can also get a lot out of it. Many of the recent (last 25 years or so) Disney, Pixar and Dreamworks movies have followed this pattern. This movie has a message not previously generally dealt with but with the PC world we live in, it has become more mainstream to discuss nature vs. nurture. Should it matter who is really the birth parent or not? The important thing is who does the actual bringing up of the child. This movie explores this theme on two of it’s stories and it’s really done well. Obviously, those of you who are familiar with my writing know that this theme is dear to my heart since it is very relevant to my own life both as a child and now as an adult. Great movie for kids and adults alike.